iDancehallReggae.com::Caribbean Lifestyle Media::: TIDBITS: Ki-Mani Marley Pens Book "Dear Dad"
TIDBITS: Ki-Mani Marley Pens Book "Dear Dad"
Caribbean Lifestyle Media-we recently learned that Ki-Mani Marley has penned a book titled "Dear Dad". Stan Smith, a free-lance journalist stated 'Ky-mani's song Dear Dad shows all the emotions of a child losing his father. In that song, he is a child, a child expressing himself and showing the emotions a child feels at the loss of a parent. Ky-mani has always been the type of person I could tell feels deeply. 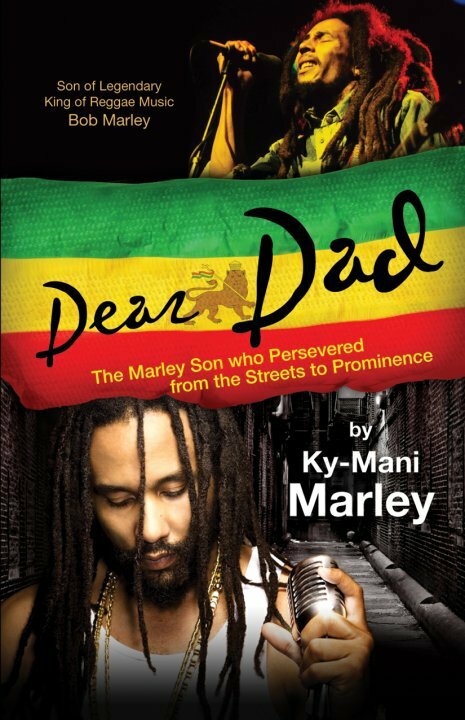 Listening to Dear Dad, the listener can see Bob Marley as a father, these children's dad, and not just the icon he is to the world...just simply a dad to this little boy who has experienced a tremendous loss'. Look out for this book in a book store near you.